Embark on a 7-day safari to Botswana with Safari365, and head into the depths of the wilderness of Chobe and the Okavango Delta. On arrival in Victoria Falls, after you pass through immigration, you will be met and driven across the border into Botswana, crossing at the point where 4 countries meet (Botswana, Zambia, Zimbabwe and Namibia). Travel through the town of Kasane, and on to a luxurious hideaway overlooking the Chobe River. You will spend 2 nights here, with all meals, local drinks, and scheduled activities included. The thrill of Chobe National Park lies in its combination of game drives and river excursions, both of which expose you to huge numbers of wildlife. Herds of buffalo, elephants, zebra and others all congregate around the Chobe River, particularly during the dry season. There will be ample time spent in the bush and on the river to take spectacular photos. Sunsets over the Chobe River are magnificent. Enjoy the experience while sipping a cocktail on the deck of a boat, gently cruising close to wading elephants or grazing buffaloes. Leaving all trappings of civilisation behind, depart from Kasane Airport on a light aircraft into the wilderness of the Okavango Delta. Landing at the camp airstrip, you will be met by a guide, and ; driven via a game route to your Okavango Delta safari accommodation. You will spend 2 nights at this opulent site, enjoying all meals, local drinks and scheduled activities. 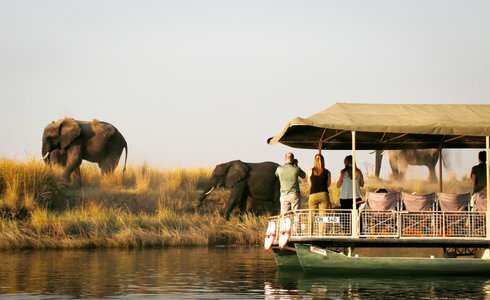 On your Okavango Delta tour, you will enjoy game drives, mokoro and motorboat excursions on the lagoons and channels surrounding the camp, and walking safaris conducted by expert guides. Search for lions hunting along the water's edge, or keep a lookout for one of the many leopards that inhabit the area. Exciting additional options (not included in tour price) available are helicopter flights over the Delta, as well as the once in a lifetime chance to interact with semi-habituated elephants. You can walk with 3 elephants, observing them from the best view possible, as they go about their daily living. Ask your consultant for more information about this. This morning you will be driven back to the airstrip, catch another light aircraft flight, this time heading to Chief's Island, the biggest, and one of the most game-rich islands in the Okavango Delta. Once used traditionally as Chief Moremi hunting area, it has since been included in the protected area of the Moremi Game Reserve, a game reserve set up by the BaTawana people in 1963. You will spend 2 nights here in the “predator capital of the world”. 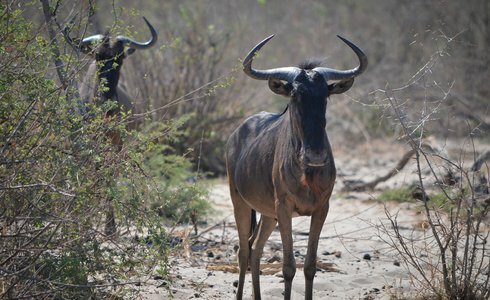 With the amount of wildlife in the park, Okavango Delta tours in this area are filled with excitement, as morning and afternoon game drives offer you close proximity to the herds and the predators. On the plains you may find the roaming lions that prey on the thousands of antelope, zebra and buffalo who live here all year round. You may also spot wild dogs. 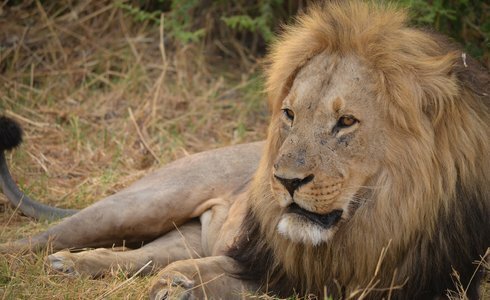 These extremely rare predators have been hunted to the point of extinction in most areas of Africa and this is one of their last strongholds. 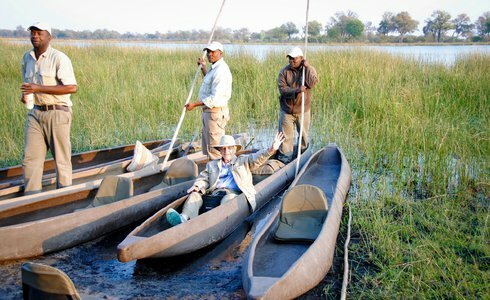 Mokoro Excursions, at certain times of the year, when the water levels are adequate, are ideal for exploring. After some of the best experience offered by the Okavango Delta, travel back to fly out of the Delta and back to Kasane. A driver will transfer across the border to Victoria Falls, in time to connect with Your onward travel arrangements.